Hello. The Don here. Today I will be chatting to Prince and Princess, two young puppies abandoned and left to die at the gates of the local shelter in Romania. Don: hello you two. How are you two pups today? Don : Oh you can just call me Don little guy! So can you tells us what you guys are up to at the moment? 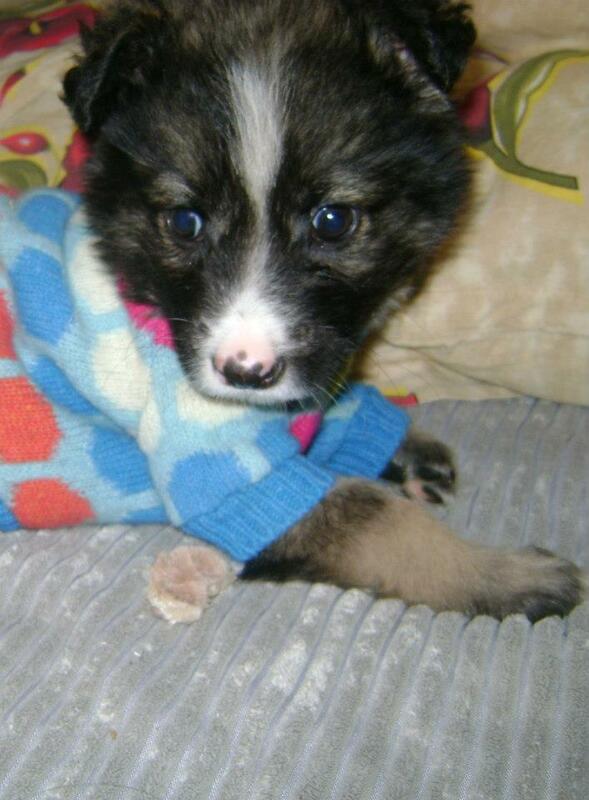 Prince: We are now living in foster care with Auntie Aniela where we get special care and extra attention. Don: So how did you end up there? Do you like it there? Princess: Oh yes!! We love it here. We are so much happier then before. I was so, so scared before we came here. Prince: Yes we had a really tough start. We got taken away from our mum and then dumped at this shelter place. It was very scary and dangerous. We were so tiny and were just left there with all the big dogs who eyed us up and I am sure some of them were looking at us and thinking about biting us . . .
Princess: Oh yes they were definitely a few big nasty dogs at the shelter who wanted to hurt us! Prince: So anyway as I was saying . . . it was really not a good place for tiny little pups like us. There was also the danger that being in the shelter but being so young we would get ill because we were not vaccinated against anything and we were too weak to survive being ill.
Princess: It was so scary! Prince: Yes and I was worried because I was too little to be able to protect myself and my little tiny sister. I do not know what would have happened if we would have been left in the shelter in amongst all the big dogs. I do not think we would still be alive now. 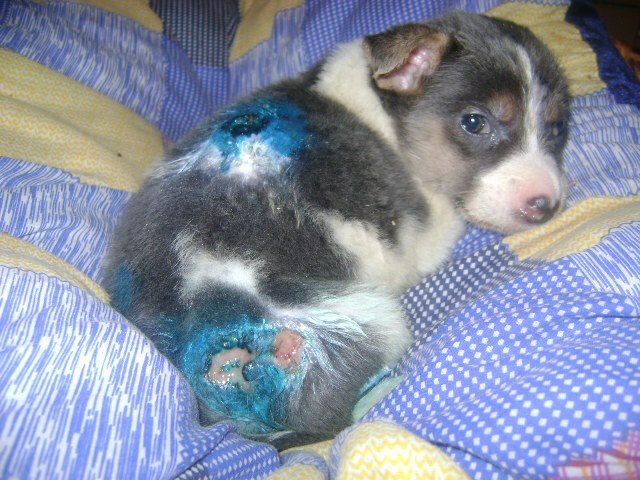 One poor puppy last week had to get taken to the vets because he got attacked by the big dogs. Princess: Yes – really! 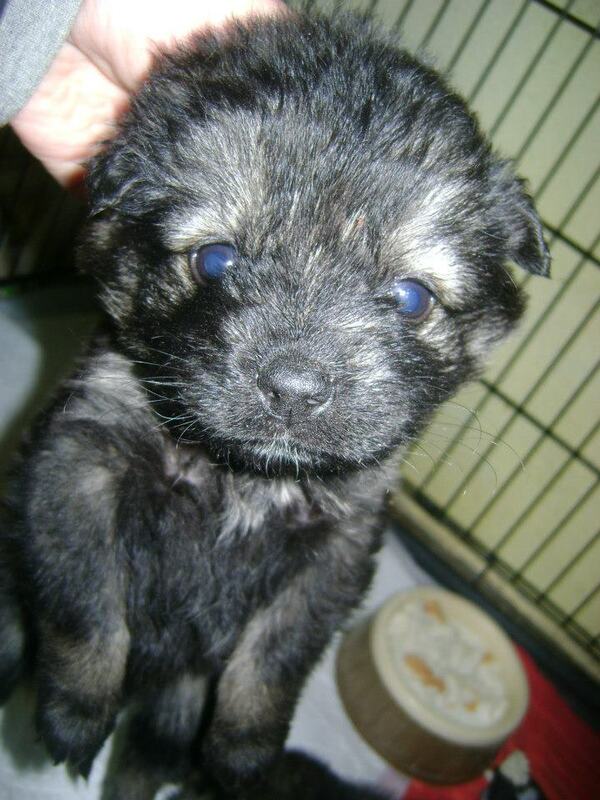 Little tiny puppies like us do not have much of a chance unaided in the shelter. Sad but true. Don: That really is sad. But Hope for Romanian Strays intervened right? They came and got you out of there and got you into foster care because you were especially small? Princess: That’s right Mr Don! And now we are being looked after by another rescue puppy – Crissie. 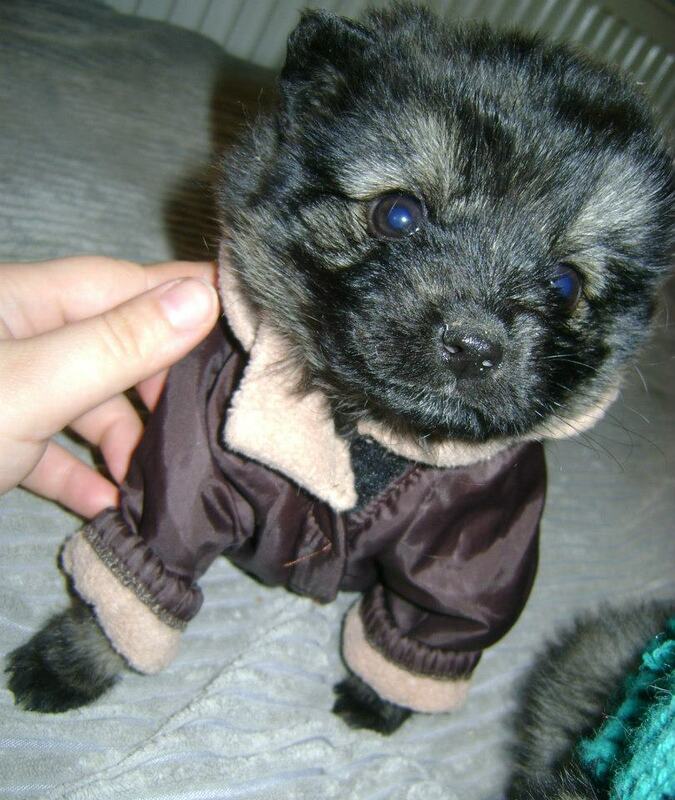 She was also rescued as a tiny little puppy, dumped at the shelter gates, very sick. They really did not think she would make it she was so ill – she had a very nasty skin infection that led to open sores. But Crissie is an incredibly strong and brave girl and she pulled through despite all the odds! Don: That’s lovely. So Crissie is all better now? Princess: Yes she is – she went through lots and lots of pain and had Aniela not been there to care for her she would have died in terrible pain all alone on the street. 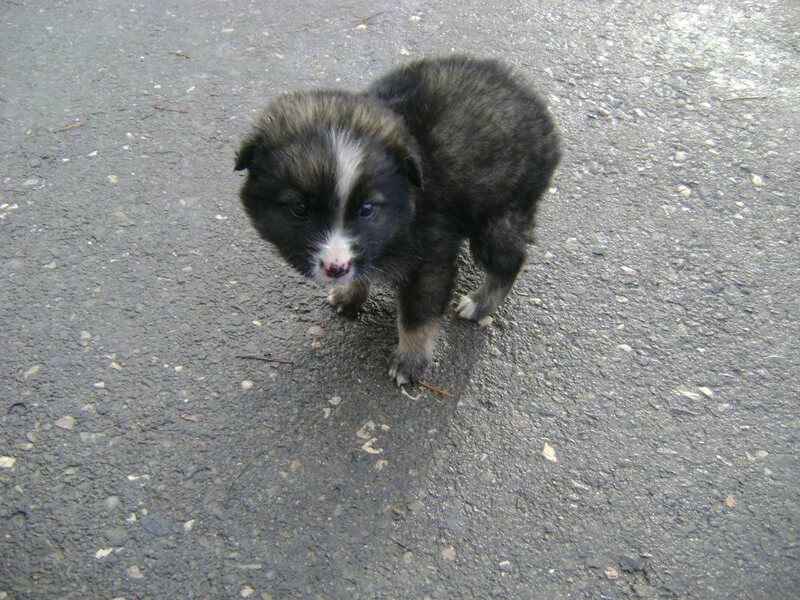 But because of all the love and support of Aniela and funding from donations to Hope for Romanian Strays Crissie is now better and will grow up into a beautiful brave lady. She’s my heroine and I hope I can be as brave and strong as she is. Prince: Yes she has really looked after us, plays with us and makes sure we are okay. We are still very young and little so it is good to have a bigger puppy like Crissie keeping an eye on us . . .
Princess: … And she shows us some of the best toys and tricks when Aniela isn’t looking! Prince: Shhhhhh Princess that is supposed to be a secret! Don: So you guys are really in good hands then! Prince: Yes we are – both Aniela and Crissie will make sure nothing happens to us and will hold our paws when we need to get our vaccines and Auntie Aniela will then try to find us good forever homes so we do not have to go back to the shelter when we are bigger. Princess: Oh I hope we do not ever, ever have to go back to the big horrid scary shelter! There are so so many big dogs there- who also all need good homes – but for puppies like us really is not a good place to be. Don: No I can imagine. It is so sad that there are so many amazing young (and old) dogs stuck in such a sad and cold place. All they want is to share their love. Prince: That is true. 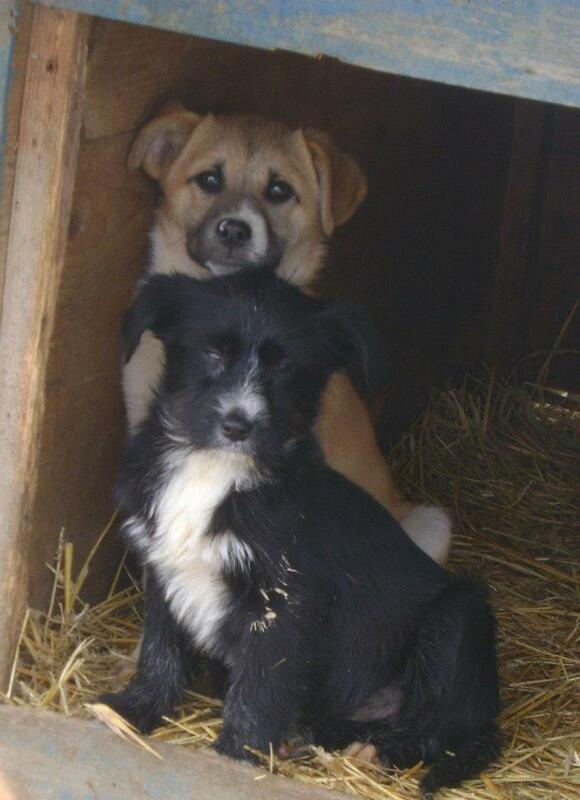 But thanks to Hope for Romanian Strays they at least now they get some food and veterinary care. And they sponsor programmes to get some of the mummy and daddy dogs neutered so that there are less little puppies like us in such a desperate place. Unfortunately there are so many dogs to help and so much work to do and Hope for Romanian Strays is totally dependent on help from donations and volunteers, like your mum Don. Don: Yes that is true. 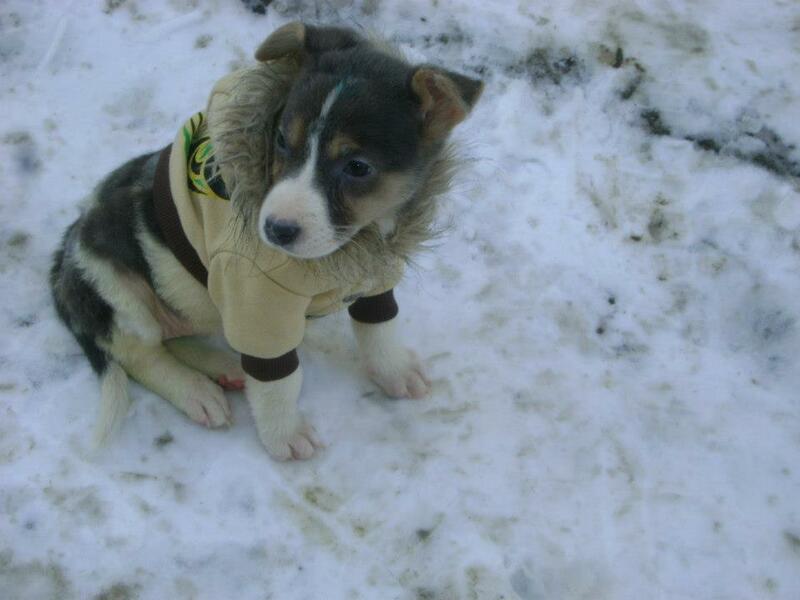 So can you tell us if there are any plans to try to do something for all the other puppies in the shelter? You guys were of course lucky because you were so tiny and young that you got a chance at foster but there are so many other puppies in the shelter struggling to survive. 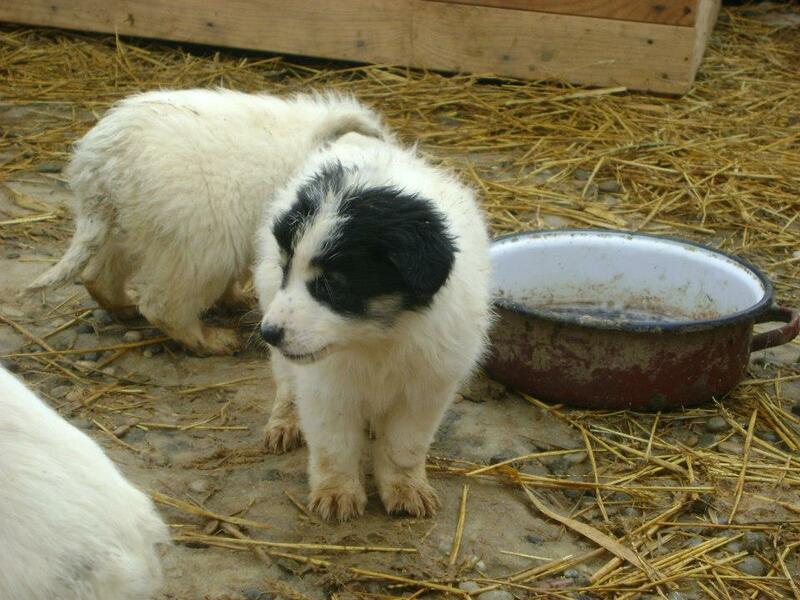 Prince: Yes – in the Spring when the ground thaws Hope for Romanian Strays has managed to get the shelter to agree for them to set up a special puppy compound separate from the big dogs. This will mean that more puppies will have a chance of growing up safely and not get bitten and attacked by the big dogs. All these puppies will then get neutered and vaccinated so that there will be less stray puppies in future. Princess: Yes that is the dream. We really hope that more people will start to donate and help out. There is so much good that can be done and a little money goes a very long way here in Romania. Unlike in other countries were people respect animals, here many people do not and out on the streets we are beaten and left to die or just dumped, like we were. If it were not for the few people like Aniela and the volunteers, many more dogs would die in terrible pain and agony. The charity does so much but it is constantly in debt as the donations rarely cover the costs needed just for basic aid. Don: This is so sad. So what you are saying is that more donations and support are needed? Prince: Yes! If every person who hears about us donated just €10 we could build our puppy shelter – how amazing would that be! Princess: That would be soooooo amazing! And maybe somebody reading this would like to give us a home when we are bigger and old enough to travel! I would love to go live somewhere like Germany or the UK. That would be so exciting! Don: Or of course Switzerland where I live! Well thank you both for taking the time out of your busy play schedule to share your story – and your dreams. Let’s hope that some people reading this decide to help out – and of course let’s also hope that you guys, and the other puppies in the shelter, all find loving homes out of the cold. Prince: Thank you Mr Don . . .
Princess: … And thank you to anyone who shares our story and supports us! You can help puppies like Prince and Princess by sharing this post and other Hope for Romanian Stray posts; by donating (paypal: hopeforstrays@yahoo.com) or best of all by fostering or adopting one of the many homeless puppies.